Morrisons at Granton has launched its biggest breakfast sandwich yet – The Builders Big Scottish Breakfast Butty – which weighs in at a hefty three quarters of a kilo and is a full four inches deep. The butty is packed with all the full Scottish breakfast essentials including potato scones, bacon, sausages, baked beans, mushrooms, egg and tomato. 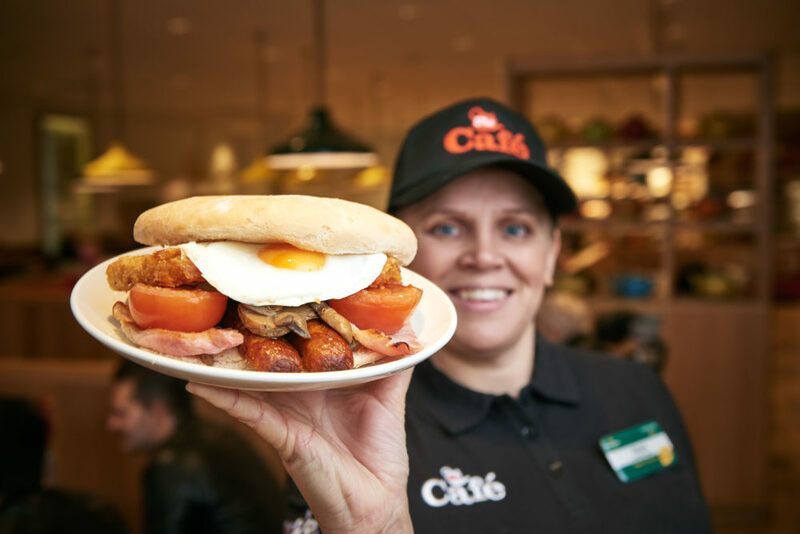 The supermarket’s new breakfast contains the main ingredients of Morrisons café’s best loved breakfast – Big Daddy Breakfast – and will cost just £5.00. 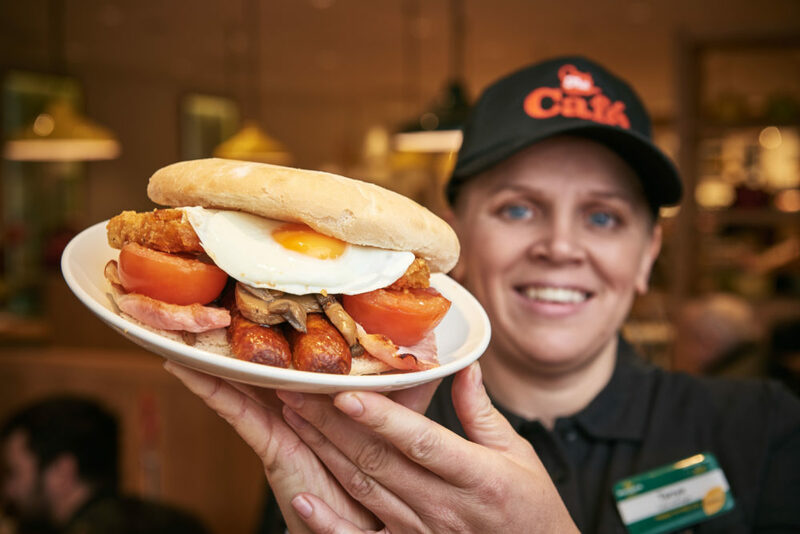 Morrisons Café team searched far and wide to find a big enough bap to hold the 10-item breakfast, settling on an extra-large seven-inch bap that is capable of holding the massive filling and sturdy enough to give customers the option to have the giant fried breakfast butty to go. The Builders Big Scottish Breakfast Butty has been created by Morrisons after café regulars reported not always having the time to sit down and enjoy their beloved Big Breakfast in the café so in response, the café team has made the breakfast sandwich to go with a foil wrapping to keep it warm. The Builders Big Scottish Breakfast Butty also comes in a vegetarian version. 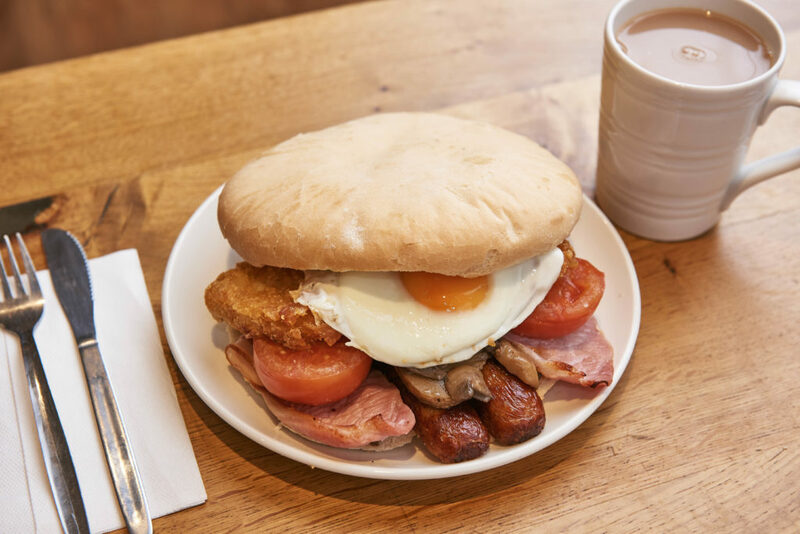 Butty buffs can either enjoy their Builders Big Scottish Breakfast Butty in the store’s café or if they’re short on time, they can grab it to go.